Top 5 Virginia Videographers Our top picks. Wedding videographers are pretty awesome! Taking the events of the day and packaging them into a beautiful wedding film takes talent and a whole lot of time! When we first started our wedding business we actually were both photographers and videographers. You could either hire us for one or the other and in the very beginning… both! And let’s not even talk about the equipment we had to lug around! So much more equipment is needed as a videographer than a photographer. Around year 4 we decided not to offer wedding videos anymore. We realized we were not passionate about the videos as we were about creating beautiful portraits. So we made the decision and have not looked back since. Having a passion for what you do is a game changer. Since we love photographing weddings we were able to just focus on that and we watched our business take off unlike before when we were trying to wear both hats. Why waste time on something you don’t love? This is where we come to the part in the post where we talk about these filmmakers that have a passion for wedding films and you can see it not only in their product but also the way they talk about it, interact with their clients, and more. Make sure they love what they do. If they love what they do then they will give you their very best! I know some of our couples worry about the relationship between the photographer and the videographer. However, if you pick a good vendor team then every vendor should be a team player and work together to get their shot. Below are the wedding videographers that we highly recommend. These are in no specific order and we know personally that each one would provide you with a beautiful film that you would be proud of. Chris & Kelly Whiddon are a husband and wife cinematography team. Since filming their first wedding in 2012, they have expanded their portfolio to include corporate events, promotional films, real estate videography, aerial photo and video, and documentary films. They are based in Virginia and are available to travel to any destination. They have a keen sense of attention to detail. Josh & Susan are a husband and wife photo and video team that has years of experience. When it comes to weddings, they are absolutely passionate about giving you the most beautiful memories through high-quality photo + cinema. They share their story on adoption and we love following along on their journeys. They are based in Virginia and are available to travel to any destination. Brittany and Andrew are the husband and wife team that make up One Story Films. Their story began 15 years ago as high school sweethearts, and their forever together began 8 years ago on the coldest, but most beautiful January 2nd that Virginia has ever had! Now, two precious kids, 1 hyper puppy, and 3 moves later, they are still happily adding new chapters and adventures to their story. They are passionate about documenting and capturing life’s biggest moments, which is why they have decided to share this passion with others! They make an incredible team. Gibby Visuals LLC is an Award Winning Video Production Company, Co-Founded by Justin Gibby. He started covering weddings in 2003 for In 2016, Gibby Visuals covered 49 Weddings! We’re confident that he can capture your needs. Justin is a creative-entrepreneur and Film School Graduate (Utah Valley University) who learned from a young age about the television business and media business. In the beginning, he learned from his Dad who is “considered by many to be one of the most important figures in the establishment of the Action Sports industry.” Watching him produce over 1500+ TV Shows, win 4 Emmy Awards, and still be a great father taught him a lot. Based in Virginia, Justin is available to travel to any destination. 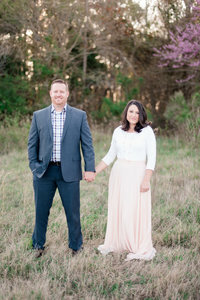 They are a Virginia based wedding photography and filmmaking company. Billy & Taylor believe that the in-love and the adventurous couple is what creates a captivating wedding day full of good vibes. These two live to document your love story and turn that into a memory that will last a lifetime. They embrace the beaming bride, the eager groom, tear-jerking vows, and everything in between. This couple simply and wholeheartedly wants you to experience the best day of your life in the best way. You will notice a common thread with all of these videographers. All of them are team players. Again, as you are choosing your vendor team, you want to ensure that who you choose can work together on a team. Please know that one is not more important than the other. We are all providing a service and because of this, it is important that we all work together so we can all provide a beautiful product in the end. Luke and I know styles change life changes, and more. We plan to update this list every 6 months to give you updated recommendations on our favorite wedding videographers here in Virginia! Next Check Out Our Top 5 Wedding Planners! Top 40 Vendors, We LOVE!